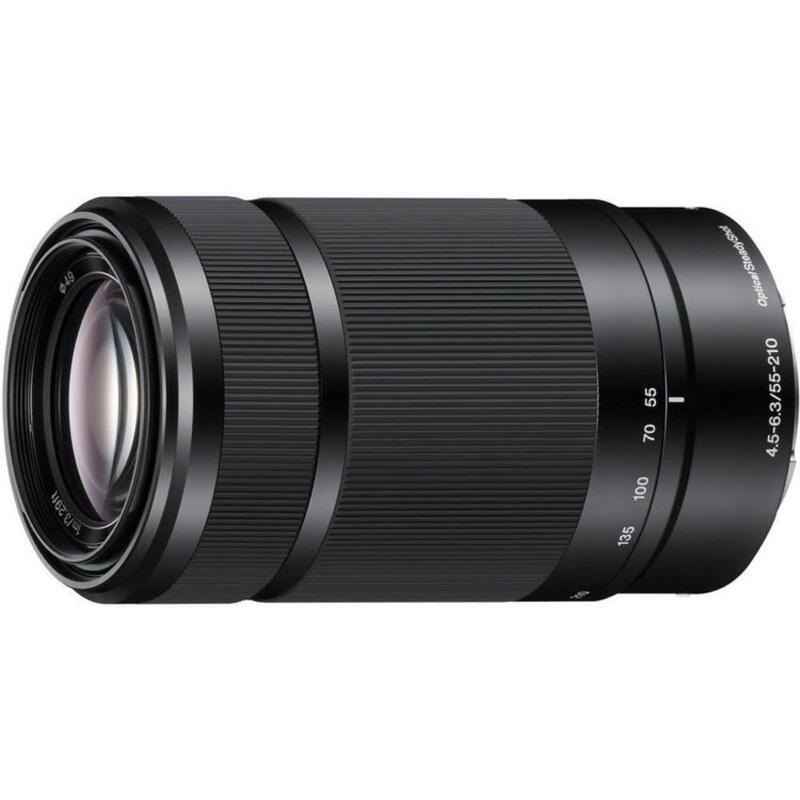 The Sony E Mount 55-210mm f/4.5-6.3 OSS Lens covers a broad zoom range with internal focusing and a linear motor-driven AF system. There is a separate manual focusing ring for Direct Manual Focus which allows for seamless fine tuning after AF has locked onto the subject. This lens is designed for crop sensor E mount cameras, such as the a6500. It is also compatible with the a7 series of Sony cameras but only when shooting in crop sensor mode. The Optical SteadyShot image stabilization minimizes the appearance of camera shake by up to 4 stops. 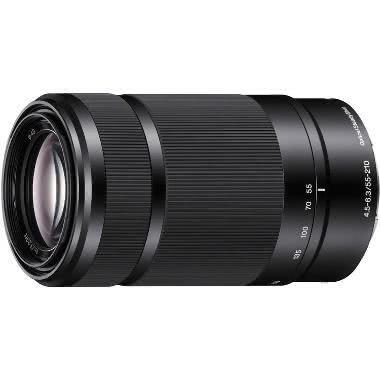 This lens is great for outdoor sports and wildlife photography. • This lens is compatible with Sony E mount cameras in crop sensor only. The focal length equivalent in 35mm terms is 82.5-315mm.